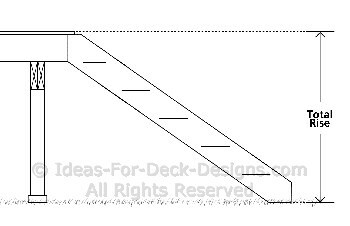 Planning Deck Stairs - Where Should They Go? 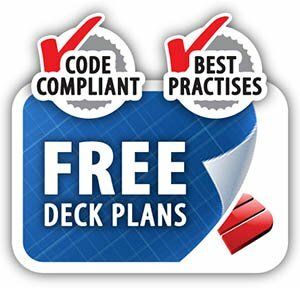 Planning your deck stairs location - a critical first decision. 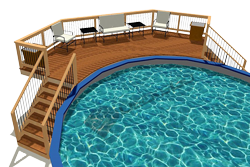 Where will people naturally enter or leave the deck? 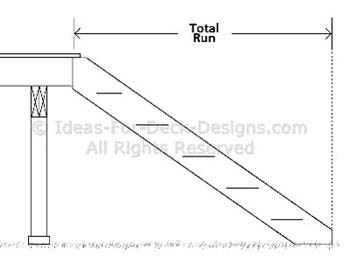 This will make it much easier for you to know where the best location of your stairway should be. 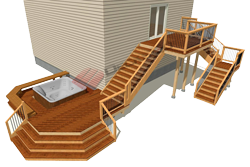 The example shown here is a cascading stair case with a single level deck. Lots of room away from the foot path to set some chairs and a table. 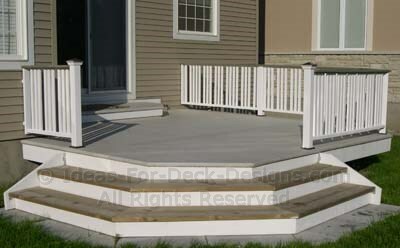 You many need a dedicated set of stairs or multiple sets to distinct purpose areas on your deck. 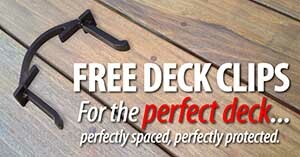 Doing so makes your space comfortable and easy to get around. 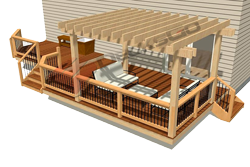 The deck shown here has a first floor elevated deck that is small and more of a "pass through" zone. 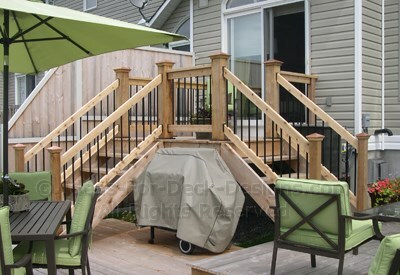 But having access to the dining area and a lounge area with two separate stairs makes this little deck a gem! Where Will The Stairs End? You will have to determine the total rise and run in order to know where your landing will be. 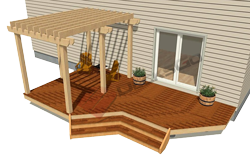 Project a board or something level with the deck surface to where you would like the stairs to end. 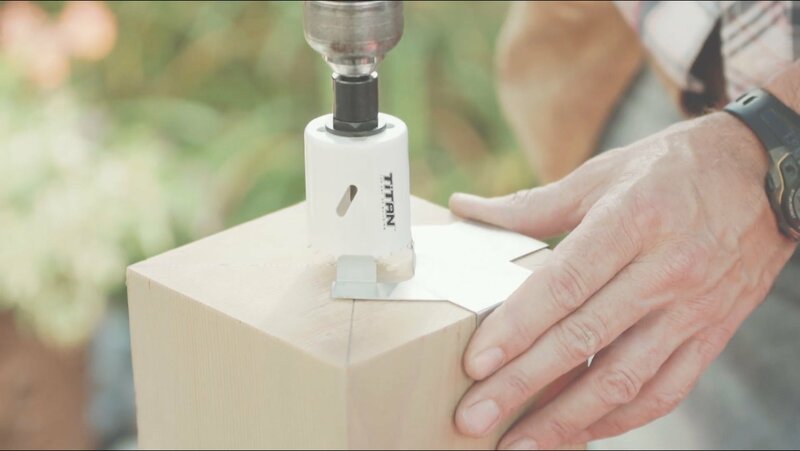 Then measure straight down (vertically) to pinpoint where you would like the last step to end on the landing. Remember the landing is your last step, not the last tread. 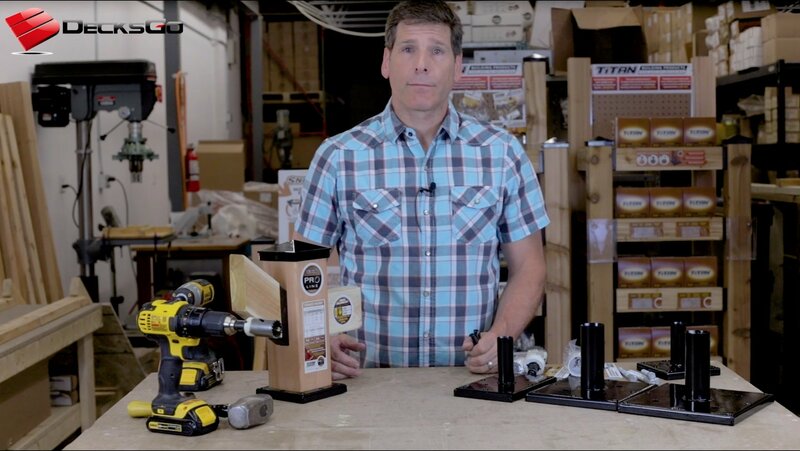 Make note of these important measurements. 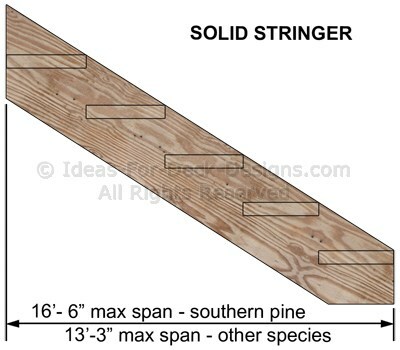 The stringer layout and function of the stairs will depend on this. 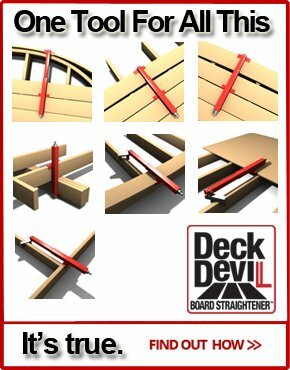 How Long Can The Stair Stringers Be? 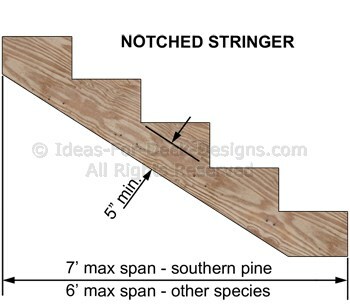 A solid stringer can span a longer distance than if you notch it. 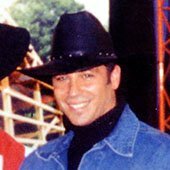 Use a 2x12 rather than a 2x10. 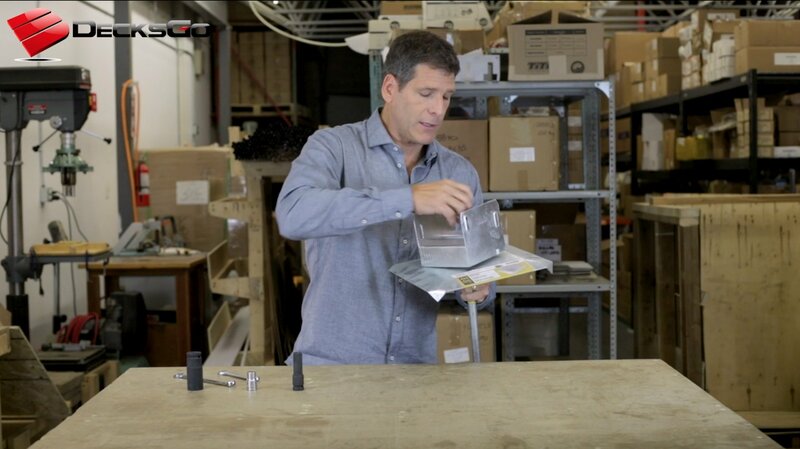 It makes for a stiffer structure and it is easier to abide by the minimum "throat" size of 5". 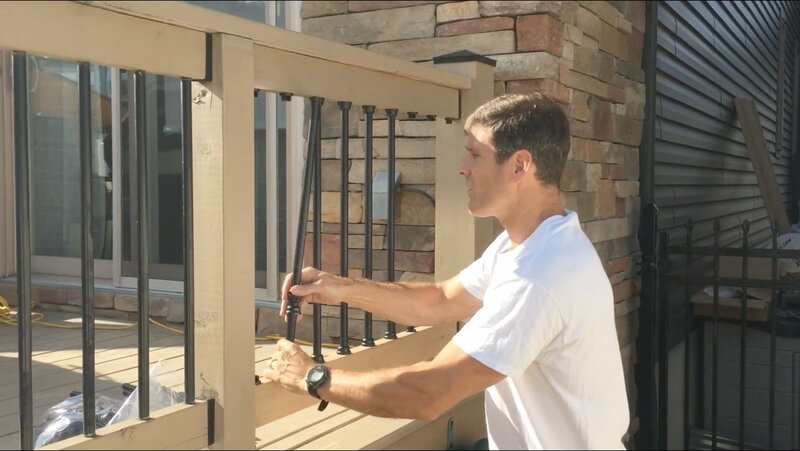 Now that you have completed the planning of your deck stairs and have the total rise and run figured out, it's time to get down to doing the layout of your stair stringers.